Obituary for Daniel D. Royer, Sr. | Heller-Hoenstine Funeral Home, Inc.
Daniel D. Royer Sr., 82, of Lewistown, went to be with his heavenly father at 6:58 a.m., Tuesday, Nov. 6, 2018, at Geisinger Holy Spirit Hospital, Camp Hill. Born July 28, 1936, in Lewistown, he was a son of the late John W. and Mildred (Yetter) Royer. 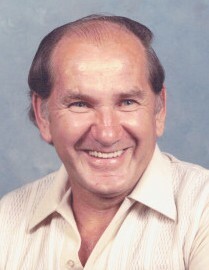 In addition to his parents, he was preceded in death by: his wife, Betty Jane (Cavanaugh) Royer; sons, Michael and Scott Royer; brothers, Jack, John Jr., Weldon, Max, Bud and Robert Royer; sisters, Rosalind and Wanda Brannan, Doris Osborne, Dorothy Stong and Hazel Corly; and son-in-law, Eric Price, on Sept. 23, 2018. Daniel is survived by: his companion, Ruth Clouse; four children, Daniel D. Royer Jr., of Lewistown, Ray Royer and wife, Sherry, of Tennessee, Connie Price, of Mattawana, and Christine Royer, of Lewistown; step-children, Larry, Tammy and Shella Clouse, all of Lewistown; a granddaughter who Daniel and Ruth raised, Amanda Stine; and 11 other grandchildren; Sean and Brant Royer, Christina and Stacey Royer, Emily Swineford, Colton Royer, Erica Sieber, Tiffany and Lyndsey Clouse, Michael Murphy and Aaden Earnest; 13 great-grandchildren, Chase, Hailey, Mason, Draven, Bella, Aubrey, Deitrich, Gabe, Emmery, Maddie, Trayson, Zailynn and Torran; others who knew Daniel as "Pap;" siblings, Richard Royer and wife, Anne, of Maitland, Ruth Bishop and husband, Steve, of Ferguson Valley, Marie Miller, and Linda Davis and husband, Jerry, both of Lewistown; and many nephews and nieces. He was owner/operator of Royer's Demolition in Lewistown. Daniel loved spending time with his large family. He also enjoyed NASCAR, dirt track racing and going to parks. A viewing will be held from 10 to 11:30 a.m., Friday, Nov. 9, 2018, at Heller-Hoenstine Funeral Homes, Woodlawn, 200 N. Main St., Lewistown, followed by the funeral service at 11:30 a.m., with Buck Carolus officiating.